Our planet, Earth, is just one tiny speck in the Universe. Before we can go and explore the Universe, we want to start by exploring our Solar System. What we know about the Solar System now is so different from what we learned when we were in school. 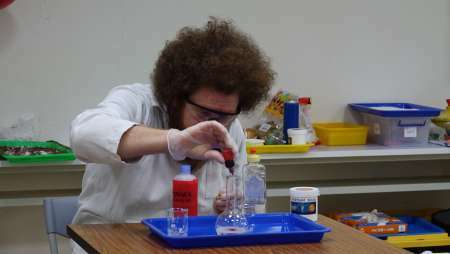 Come join ACC Science Class – The Solar System. We will introduce the 8 planets that make up our Solar System. We will learn their names, the major characteristics of each planet, how many moons they have, how long a day is on each planet, and how long a year is on each planet. 8 planets = 8 experiments as we tour through space and meet each of our planetary neighbors. 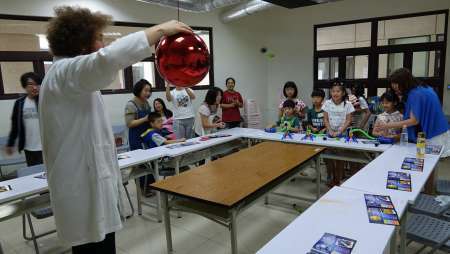 Dr. Sparks Junior Scientist Club is a creative team of EDUtrainers who is raising the bar for children’s educational entertainment in Taiwan. We are creating music, TV shows and live shows for both native English speaking and local ESL kids. 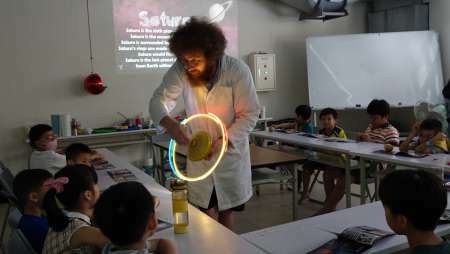 Children’s music composer and EDUtrainer, Brian “Funshine” Alexander, and Kenn “Sparkles” Loewen from World Family have over 25 years of combined experience entertaining and educating kids in Taiwan. 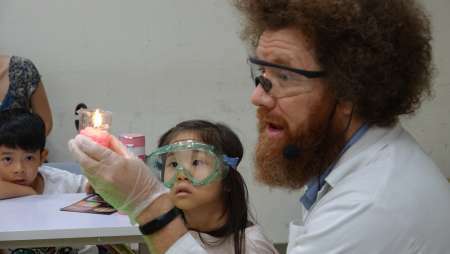 Dr. Sparks Junior Scientist Club offers a multicultural understanding to all the shows and programs we create. This is an interactive parent-child activity, so we require a minimum attendance of 14 Members (7 adult and child couples). The maximum attendance is limited to 28 Members (14 adult and child couples), so please register early to avoid disappointment – these classes are extremely popular! Please note this event is involved with outside contractors, so please understand that cancellations can be made no later than 72 hours before the event to avoid charges. This event is not included under ACC’s minimum charge policy. Sorry, but booking is disabled because this item is expired. If you have any questions about this please call ACC Member Services on (02) 2885-8260 or member.services@americanclub.org.tw.